28.02.2015. Oxford, England. Aviva Premiership. 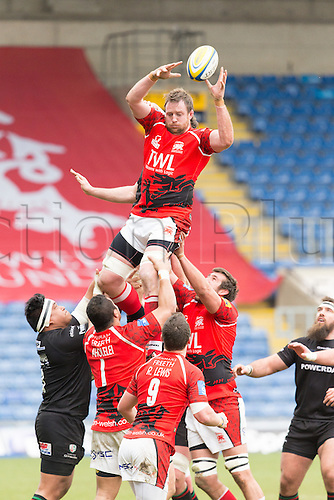 London Welsh versus London Irish. Dean Schofield wins clean ball at the line out.